You CAN modify Malcolm in any way. If you want to offer a modification of Malcolm to others (for example, a different outfit,etc. ), you have to send it to us for distribution. 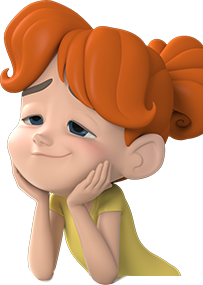 You CAN use Malcolm for your demo reel or animation contest. You can't use Malcolm for any content which is is pornographic, sexually explicit, lewd, obscene, or excessively violent,promotes or condones illegal activities, or incites hate or violence against an ethnic, religious, or protected group. You can't use Malcolm or any modification of Malcolm or the AnimSchool Picker for assignments at another online school or classes/workshop, or online component of a traditional, in-person school, or in any way in conjunction with that school/class/workshop, including contests. 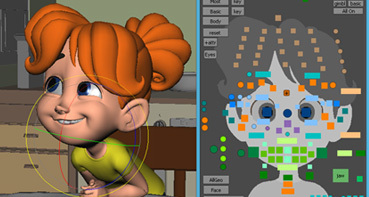 You can't use the AnimSchool Picker with characters from, or associated with, another online school or classes/workshop, or online component of a traditional, in-person school. 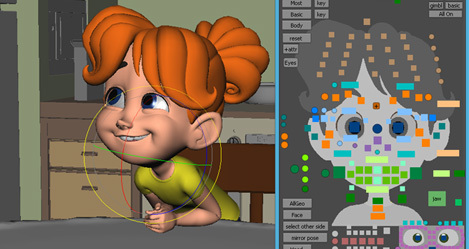 If a (traditional) in-person school teacher or administrator would like to allow multiple students to use the AnimSchool character files, they must agree to the license terms on behalf of the school, and ensure the students in the program follow the terms of the license agreement. Accordingly, the students must be aware not to take the characters outside of the school without getting their own license. The school teacher or administrator should list the school entity and address in the license registration process. Be sure to REFERENCE the file in to your set (NOT import). First: Install AnimSchoolPicker (from the Characters and Tools page). Place the malcolm_v200.ma file in a known location. Now open AnimSchoolPicker and the picker files to select the controls. We also recommend Legacy Default Viewport for maximum interaction speed. Note: the public version does NOT include the full outfits for the scientist and cowboy villain. Those are exclusively for students and original crowdfund backers. Or use with your own rigs. AnimSchool Picker expires periodically. Come back to get a new version if prompted, and simply replace the .mll file (or Mac: bundle file). RESTART MAYA to complete the new installation. There will be no charge for future updates of existing functionality. Newer versions of AnimSchool Picker expire every two years. Come back to get a new version if prompted, and simply replace the .mll file (or Mac: bundle file). AnimSchool Picker expires periodically. Come back to get a new version if prompted, and simply replace the .mll file (or Mac: bundle file). RESTART MAYA to complete the new installation. If it doesn't load properly, then you may have an incompatible Qt installed on your machine. Simply disconnect it so Softimage does not see the external Qt library, and you should be good. Female Malcolm (user-made mod) for Maya 2011 and higher made by Josh Sobel.